The Medieval Market is held in Orihuela beginning of February. 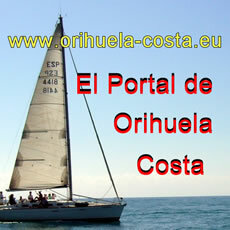 The town hall normally arranges transport from Orihuela Costa to and from the event. I went for a few brief hours on the first day to what was being heralded as the largest medieval market in Spain. The history of Orihuela stretches back to Roman times, and throughout the medieval period it served as an important local and provincial capital. It was the capital city of the Visigothic kingdom of Thudmir during the eight and ninth centuries until they were ousted by the Moors. It then remained under Moorish control until it was annexed by Jaime 1 of Castilla in 1473. These markets were a very important part of medieval life, were highly regulated and often licensed by the monarchy. Whereas most villages and towns had bakeries together with some fruit and veg grown locally, it was the markets that attracted the suppliers and purchasers of the harder-to-get goods, luxuries and of course a wide range of the staples as well. The main activities took place around three landmarks, the Arch of Santo Domingo (the gates to the city), the Cathedral and the Ayuntamiento, all striking buildings. There were also roving groups of entertainers and musicians, all dressed in superb costumes together with knights duelling and various odd-ball characters entertaining the crowds. For the little ‘uns there was also an area with lots of small animals - ducks, chickens, rabbits etc which could be viewed up close (not sure if the bunnies didn’t end up in the paella) - together with five lovely very small donkeys. (I have a weak spot for donkeys - may be related!). This year Orihuela certainly pulled out all the stops to make this a memorable market, even the weather was beautiful. A free 16 page glossy informative program of events, including a map of the market, was issued by the sponsors. Many streets were closed off, and the market took place in the northern (? ), older and more attractive part of the town, just under the hills; there were 368 stalls over four and half kilometres, offering all sorts of products from the perplexing to the mundane. Most of the stalls had sculptured canopies with all of the stall holders being dressed in medieval costumes. There were plenty of refreshment and food stalls as well. A small (plastic) glass of beer or wine cost €1 and snacks were reasonably priced as well. These ranged from hot pork rolls to paellas. The market was an undoubted success attracting, according to the town hall, around 500,000 people. The market was much quieter in the mornings/lunch times, the bulk of the people going in the evenings. After four hours of walking the market, my ‘pins’ were beginning to scream at the ballast they were carrying and I was lucky to get the last seat in the bus back to Playa Flamenca! As long as you don’t mind a bit of walking, I would highly recommend this annual event - a feel-good experience - for both young and old. 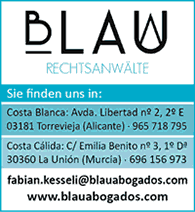 The tourism offices of Orihuela will remain open during the Medieval Market to answer any questions. Falconry, flight bird workshops, Italian flag show, the Arab souk, dance presentations, food and drink tasting, horse tournament, craft workshops, demonstrations of typical medieval life can be found on the Medieval Market in Orihuela this year as their slogan says "one of the best in Spain".